The Russian 2008 invasion of Georgia, 2014 assault on Ukraine, intervention in Syria, continuing provocative military exercises, and the use of a chemical weapon on British soil in an attempted assassination, dramatically highlight the resurgence of a Russian threat to national and international security. This is reflective of a wider Russian deep dissatisfaction with the post-Cold War settlement, made clear by President Putin in his 10 February 2007 speech at the Munich Conference on Security Policy, his 18 March 2014 speech marking the annexation of Crimea and his 1 March 2018 address to the Federal Assembly (in which he unveiled several new strategic weapon systems). Moreover, Russia has set out over the past decade or so to comprehensively modernise its armed forces and develop new thinking to guide the employment of those forces, in particular in high-intensity operations against NATO. A central component of this modernisation effort is the development of a robust long-range precision strike capability1. Toward this end, Russia has, and continues to deploy a variety of ground, sea and air-launched ballistic and cruise missile systems and has used a number of those systems operationally in Syria. As I will discuss in this paper, Russian thinking underpinning the development of a long-range strike capability and the systems it is deploying hold significant implications, both in terms of enhancing Russia’s ability to project power and the threat posed by Russian long-range strike forces. First, a discussion of Russian thinking and the rationale for developing a long-range strike capability is required. Former Soviet officials and Russian authorities argued that the DESERT STORM campaign demonstrated the capability of precision-guided airstrikes in the land attack role to paralyze the rear area and an adversary’s economy. Targets could include vulnerable areas of the economy, command and control centers, and transportation centers. The introduction of precision-guided munitions changed the nature of modern war by reinforcing traditional concepts that emphasized decisive action during the initial stage of warfare5. In 1999, Major General Vladimir Slipchenko developed a classification of warfare, creating six categories, or generations encompassing ancient through to advanced precision warfare, and suggested ‘that sixth-generation wars would be denoted by offensive aerospace operations, led by UAVs preceded by electronic warfare (EW) operations, and only a supporting role for ground forces’6. In 2003, the Russian Ministry of Defence published a report entitled The Priority Tasks of the Development of the Armed Forces of the Russian Federation, and distributed at a conference held in Moscow in October that year under the auspices of President Putin and the Defence Ministry, which brought together key figures from the military-security establishment. The Priority Tasks placed much greater emphasis on aerospace and maritime forces conducting long-range precision strike operations (‘long-range fire for effect’), targeting an adversary’s critical infrastructure and particularly significantly, information warfare.7 It does warrant mention that Russia’s traditional focus on land power was not omitted: ‘…though air superiority and massive use of precision-guided weapons will remain crucial for the outcome of the warfare [sic], they do not rule out massive ground operations waged by land forces’8. Intensive fire strikes against seats of national and military power, and also military and industrial objectives by all arms of the service, and employment of military space-based system, electronic warfare forces and weapons, electro-magnetic, information, infrasound, and psychotronic effects, corrosive chemical and biological formulations in new-generation wars will erode, to the greatest extent possible, the capabilities of the adversary’s troops and civilian population to resist12. The opening period will be the pivotal and critical time of the war, and will break down into a targeted information operation; an electronic warfare operation; an aerospace operation; continuous air force harassment; the use of high- precision weapons launched from various platforms; long-range artillery, and weapons based on new physical principles to strike at enemy targets in all areas, practically the full length and width of enemy territory13. Operations will have a multi-dimensional character and fighting will be done in the air, outer space, at sea and on land. Principal objectives will be met prior to contact of advance units, through long-range fire for effect… 3. Fire for effect will become the decisive strategic factor. 4. In the period up to 2030, there will be a massive increase in the number of warfare means capable of delivering fire without making contact with the opponent’s weapons. 5. In the course of military operations, the opponent’s strikes will not be limited to troops and military targets, but will also affect the country’s economy complete with its infrastructure, civilian population, and practically the whole territory15. The relationship between nuclear and conventional weapons in Russia’s strategic thinking, however, is not governed by a ‘zero-sum game’ logic: the increasingly capable conventional forces have not undermined the central role of nuclear weapons; rather, they have been integrated into a complementary system, where nuclear and non-nuclear capabilities amplify each other’s effect in supporting deterrence, defence and coercion17. In this regard, Major General Vaganov listed as an aim for military modernisation, with reference to the naval strategic nuclear forces: ‘…their ability to inflict predetermined damage to the military and economic centers of the adversary with conventional precision-guided and non-strategic nuclear weapons’18. This also highlights a troubling area concerning Russia’s development and deployment of long-range strike systems: the dual-capable (conventional and nuclear) nature of the ballistic and cruise missiles being fielded. The importance attached to a long-range strike capability can be discerned by the number of systems currently either in development or being deployed with the Russian armed forces. Zysk points out that ‘Since 2010, Russia accelerated the deployment of air-, sea- and ground-launched long-range precision weapons on cruise and ballistic missiles, highlighting their increasing importance in doctrinal documents’19. Although not yet fully-fielded, the long-range strike capability Russia already possesses, poses a significant threat, including to the UK itself. The following is a survey of the ground, sea and air-launched systems constituting Russia’s long-range strike (land attack and anti-ship) capability. Russian hypersonic weapons development will be discussed separately below. The principal ground-launched strike system is the Iskander dual-capable theatre tactical missile system, comprising the Iskander-M precision-guided short-range ballistic missile and the Iskander-K cruise missile. The Iskander-M has an official range of no more than 500 km in order to comply with the 1987 Intermediate Range Nuclear Forces (INF) Treaty, prohibiting the US and Russia from developing and deploying ground-launched ballistic and cruise missiles with a range of 500 to 5,500 km. However, the range of the missile may in fact be closer to 700 km, with the potential to be extended further20. As discussed above, the Iskander-M is intended to prosecute a range of high-value targets; an anti-ship capability has recently been added, utilising technologies developed for the Kh-47M2 Kinzhal21. The Iskander-K is believed to be a ground-launched variant of the Kalibr sea-launched cruise missile, which has a range of up to 2,500 km. However, there are potentially two ground-launched Kalibr variants: the 9M728 – the Iskander-K – also designated R-500, and the 9M729; the former is reportedly an INF-compliant system with a range not exceeding 500 km22, whilst the latter is believed to be the missile equipping the SSC-8, which reportedly violates the INF Treaty23. Russia is believed to have deployed thus far one SSC-8 battalion24. Russia also deploys the SSC-5 Stooge/3K-55 Bastion equipped with the 3M-55 Oniks supersonic cruise missile. Although primarily an anti-ship system, the Oniks was employed in the land attack role in Syria in November 2015; the Russian defence minister, Sergei Shoigu, stated that the Oniks has a range of 450 km in the land attack role25. The most consequential development is that Russia plans to deploy KALIBR capability on all new design construction nuclear and non-nuclear submarines, corvettes, frigates, and larger surface ships. KALIBR provides even modest platforms, such as corvettes, with significant offensive capability and, with the use of land attack missiles, all platforms have a significant ability to hold distant fixed ground targets at risk using conventional warheads. The proliferation of this capability within the new Russian Navy is profoundly changing its ability to deter, threaten, or destroy adversary targets27. A naval variant of the Kh-101 extended-range low-observable cruise missile, in particular to equip the Graney-class, has been reported, but not confirmed. Such a missile should be compatible with the UKSK vertical launch system equipping Russian surface ships and the vertical launch systems on the Oscar II and Graney-class submarines as those are intended to launch the 3M-55 Oniks as well as the Kalibr; by means of comparison, the Kh-101 is 7.45 metres long and has a diameter of 0.51 m, whilst the Oniks is 8.6 m long with a diameter of 0.67 m.
The SS-N-23 Skiff (Sineva) submarine-launched ballistic missile can reportedly be equipped with a ‘conventional warhead of “about 2 tons to engage targets in high-precision non-nuclear conflict”’28. This would provide Russia with a highly potent capability but would pose significant risks in terms of escalation control. Conventionally-armed ballistic missiles, although promising in terms of speed of response and reduced vulnerability to interception, are inherently high-risk due to the potential for misunderstanding and escalation: put simply, how could a conventionally-armed Sineva launched from a submarine be discernible from a nuclear-armed Sineva also launched from a submarine? The Russian Air Force (formally a branch of the Aerospace Forces) is, as with the Land Forces and the Navy, in the midst of efforts to deploy an extensive long-range precision strike capability. This is focused on providing the Russian Air Force’s existing Tupolev Tu-95MS Bear, Tu-160 Blackjack and Tu-22M3 Backfire bombers with a stand-off precision strike capability encompassing subsonic, low-observable cruise missiles, supersonic and hypersonic missiles; the Kh-50, Kh-101, Kh-MT, Kh-47M2 Kinzhal and GZUR respectively. Further, the Sukhoi Su-34 Fullback tactical strike aircraft and MiG-31 Foxhound interceptor are receiving a long-range strike capability via the Kh-50 cruise missile and Kh-47M2 Kinzhal hypersonic missile respectively. The Kh-101 is an extended-range (4,500 km) low-observable subsonic conventionally-armed cruise missile (a 5,000 km-range nuclear variant, the Kh-102, is also being deployed), developed to replace the Kh-55 air-launched cruise missile. The Kh-101 entered service sometime in the 2010s; series production may have commenced in 2010/1129. The Kh-101 equips the Blackjack (12 internally), Bear (eight externally) and reportedly, the Backfire (potentially four externally);30 it was used operationally for the first time in Syria in November 2015. The Kh-50 is a 1,500-2,000 km-range subsonic low-observable cruise missile, utilising the guidance system developed for the Kh-101, and designed to fit the bomb bays of the Bear and Backfire bombers. The Kh-50 will equip the Blackjack (12 internally), Bear (six internally; potentially eight to ten externally), Backfire (six internally; potentially four externally) and the Su-34 (potentially three). Notably, both the Kh-101 and Kh-50 are equipped with an active electronic jammer and towed decoys31. The Bear and Blackjack are also equipped with the Kh-555, an interim conventionally-armed version of the Kh-55; the Kh-555 was used operationally in Syria in November 201532. Russia is developing two air-launched supersonic cruise missiles, the Kh-32 and Kh-MT. The Kh-32 is a comprehensively upgraded replacement for the Kh-22 heavy-weight anti-ship missile equipping the Backfire, featuring an increased range of 900 km (the Kh-22 has a range of 510 km); the Kh-32 is principally an anti-ship weapon, and capable of delivering conventional and nuclear warheads33. The Kh-MT is reportedly a 1,000 km-range weapon and will equip the Bear and Backfire34. Russia’s Tactical Missiles Corporation, the umbrella company for the Russian missile industry, is reported to be developing a selection of subsonic cruise missiles with ranges of 100, 200, 400 and 1,000 km and due in service by the early 2020s. 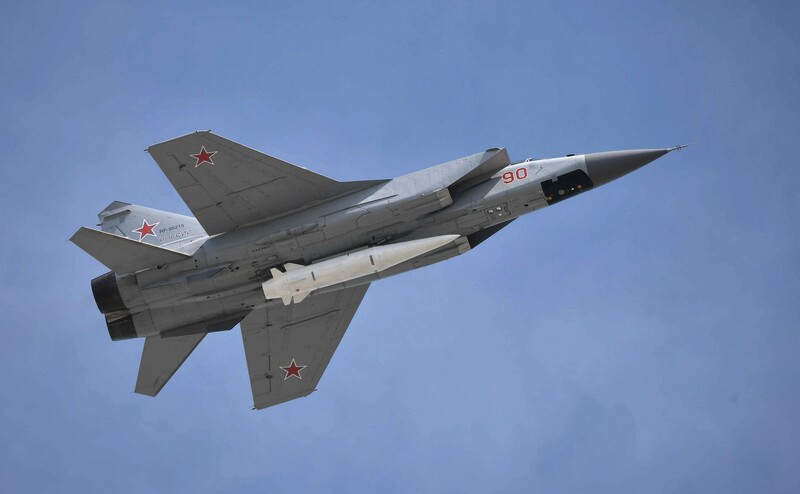 There is also a tactical cruise missile, the Kh-59MK2, with a range of 290 km, and shaped for internal carriage by the Sukhoi Su-57 fifth-generation fighter, reportedly under development35. The Russian defence minister, Sergei Shoigu, has stated that an Su-57 conducted operational tests of ‘advanced operational-tactical cruise missiles’ in Syria in February 201836. Alongside investment in advanced air-launched weapon systems, Russia is working to upgrade its existing Bear, Backfire and Blackjack bombers37. Moreover, Russia intends to resume production of the Blackjack; production of the upgraded Tu-160M2 is due to commence in 2021, with a requirement for at least 50 new aircraft to be acquired38. Following on from the Tu-160M2, Russia intends to start production of its next-generation long-range bomber, the PAK DA (‘Prospective Aviation Complex for Long Range Aviation’), in the late 2020s39. The PAK DA is envisioned to be a subsonic, flying-wing low-observable bomber, with a range in excess of 9,000 miles, and armed with a variety of advanced weapons, including long-range cruise missile, hypersonic missiles, and potentially, air-to-air weapons40. The PAK DA will also operate as an airborne command post and provide reconnaissance capabilities; this is consistent with Russian thinking on the development of precision-strike capabilities, a key component of which is the reconnaissance-strike system41. In this regard, Russia is developing unmanned air systems which are likely to contribute to its long-range strike capabilities. Two systems warrant particular mention: the Sukhoi Okhotnik, and Simonov Altius-M. The Okhotnik is believed to be a 20-ton unmanned combat air system similar in configuration to the X-47B, suggesting a focus on deep-strike; whilst the Altius-M is an unmanned reconnaissance air system with a range of 10,000 km, although whether it could operate in a high-threat environment is uncertain42. Russia possesses a nascent hypersonic strike capability following the deployment in December 2017 of the Kh-47M2 Kinzhal, announced by President Putin in his 1 March 2018 speech. The Kinzhal is an air-launched derivative of the Iskander-M tactical ballistic missile, with a range of 2,000 km, a speed of Mach 10 (ten times the speed of sound) and capable of delivering a nuclear or conventional warhead. Ten MiG-31 Foxhound aircraft are currently operational with the Kh-47M2;43 it is intended that the Backfire will also be equipped with the Kinzhal. The Foxhound can carry a single Kinzhal, whilst the Backfire will likely carry two to four missiles. It is likely that other aircraft will be equipped with the Kh-47M2; there have been reports over a number of years that an air-launched ballistic missile to equip Russian Air Force Sukhoi Su-30, Su-35 Flanker and Su-34 Fullback aircraft was being developed44. Russia is also close to deploying a hypersonic cruise missile, the 3K22 Tsirkon. The Tsirkon is reportedly being developed by NPO Mashinostroyeniya, the company responsible for the Oniks, and will include air, ground, submarine and ship-launched variants. In this regard, it has been noted that existing launchers compatible with the Oniks, for example, the UKSK vertical launch system equipping Russian warships, will be capable of launching the Tsirkon. The missile reportedly commenced flight testing in 2015 and is intended to attain high supersonic to hypersonic speeds, that is, Mach 4.5 to Mach 6, although there were unconfirmed reports in 2017 that the missile achieved a speed of Mach 8 during testing. As with the Oniks, it is likely that the Tsirkon will include a land-attack capability in addition to its anti-ship role: the missile will reportedly have a range of 500-1,000 km45. A ground-launched variant of the Tsirkon would therefore violate the INF Treaty. An air-launched hypersonic cruise missile, GZUR (deriving from the Russian for ‘hypersonic guided missile’), capable of a speed of Mach 6, a range of 1,500 km, and sized to fit within the bomb bay of a Bear, may enter service around 202046. The Avangard intercontinental ballistic missile-launched hypersonic glide vehicle (an aerodynamic re-entry vehicle capable of sustained high-speed gliding to enhance range and survivability) will, in addition to its principal nuclear role, be capable of delivering a conventional warhead. This would provide Russia with a highly potent global strike capability, although, as with the reported conventionally-armed Sineva discussed above, there would be a significant degree of risk involved in the conventional use of Avangard due to its nuclear role. The array of ballistic and cruise missile systems either already deployed with, or under development for, the Russian armed forces will provide a significant qualitative enhancement to Russia’s ability to project power. In particular, the variety of systems and their respective capabilities (ballistic or cruise missile; subsonic, supersonic or hypersonic) provide Russian policymakers with a considerable degree of choice and options for employment, as Zysk highlights: ‘Senior Russian officers underline their value as a particularly suitable and flexible tool given that they can be applied in a variety of ways – in a massive attack or to selectively hit individual targets, using minimum force and without the platforms having to enter the actual area of active conflict’47. The coordinated, multi-axis strikes conducted in Syria, utilising air, ground and sea-launched missile systems, including the Kh-555, Kh-101, Kalibr, and Oniks,48 provide an unambiguous strategic message to the West concerning Russia’s strategic capabilities and the manner in which the Russian military could operate in a major war49. Russian long-range strike assets are capable of prosecuting targets across Europe from within Russian territory or operating areas in waters under the protective umbrella of shore-based air defence and air force units. Moreover, the Russian cruise missile-armed warships and especially submarines, and long-range bombers can threaten targets globally. In this respect, the anti-access threat posed by Russia is not restricted to Europe, but rather extends across the Atlantic to the US. The scope and distribution of long-range strike capabilities across the Russian armed forces provides a potential division of labour. That is, warships and diesel-electric submarines armed with the Kalibr, ground-launched Iskander-M ballistic and Iskander-K, and SSC-8 cruise missiles, ground and sea-launched Oniks and Tsirkon cruise missiles, plus Kh-32, Kh-47M2, Kh-50, and Kh-MT-equipped Backfire, Fullback and Foxhound plus the low-observable Su-57 and Okhotnik, will provide a comprehensive theatre strike capability. This would enable the Kh-101-equipped Blackjack and Bear force, and nuclear-powered submarines, particularly the Graney and Oscar II-classes, to be utilised against more distant targets, such as in the US. Alternatively, the range of the Kh-101 would enable Russian aircraft to conduct strikes against targets across Europe from within Russian airspace. To illustrate this, the 4,500 km range of the Kh-101 would enable a Bear operating out of Engels air base in central Russia to strike any target in Europe and even Keflavik air base on Iceland, from within the vicinity of the base. This would enable the generation of a higher sortie rate than would typically be expected for strategic bomber operations and allow the bombers to operate within airspace protected by surface-to-air missiles and fighter aircraft. Further, if the Backfire is indeed equipped with the Kh-101, it would be capable of operating in the strategic, rather than its current sub-strategic role. The operational reach of a Backfire with the Kh-101 would, depending on mission profile, potentially exceed 8,000 km. The enemy may be swayed in his resolve by demonstration of the readiness (in response to a threat of attack) of a Russian defensive force to be deployed to the area of anticipated aggression; a strongly worded statement with a warning of immediate nuclear retaliation against the threat arising to the country’s sovereignty and integrity during the war and of unrestrained use of high-precision weapons to destroy the enemy’s nuclear power plants, chemical industry plants, and major hydropower projects on the potential aggressor’s territory; and preparation and conduct of an information operation expressly to mislead the enemy about Russia’s readiness to fight off aggression54. The reference in the above quotation to the use of an explicit nuclear threat at the outset of a crisis is notable, and again highlights the role of nuclear weapons in Russian thinking. In the context of Russia’s growing long-range strike capabilities, the majority of the systems discussed above are dual-capable, and results in a ‘blurring’ of the distinction between conventional and nuclear weapons and brings with it the problem of discrimination55. This is compounded by Russian exercises which include scenarios involving nuclear use,56 and its concept of de-escalation, or which as Zysk suggests, could be applied as ‘escalate to win’57. It does warrant mention that the development of long-range precision strike systems (particularly hypersonic weapons) are seen as potentially offering, in the long-term, a means to reduce reliance on nuclear weapons in strategic deterrence. The Chief of the Russian General Staff, Valery Gerasimov stated in March 2018 that: ‘In the long term, an increase of capacities of high-precisions [sic] weapons, including hypersonic ones, will allow moving the main part of strategic deterrence to the non-nuclear sector from the nuclear one’58. Russia’s development and deployment of a robust long-range strike capability poses a significant threat to international security. It also poses a direct threat to the United Kingdom, and a significant defensive challenge. The range of particularly the air-launched Kh-101 and submarine-launched Kalibr cruise missiles would enable the launch platforms to conduct strikes from multiple, and potentially unexpected directions: for example, a Blackjack could launch Kh-101s at European targets from over the North Atlantic. In addition, the Kh-101 and Kh-50 cruise missiles are designed to be low-observable, thus further complicating defensive efforts. This highlights the extent of the challenge posed by Russia’s missile forces: the combination of multi-platform long-range, low-observable subsonic, supersonic and hypersonic cruise missiles, air-launched ballistic missiles, and tactical (perhaps, if the INF Treaty collapses, to be joined in the mid-term by medium and intermediate-range) ballistic missiles providing a multi-axis attack capability. The entry into service of the Su-57 and Okhotnik, both stealthy aircraft capable of operating within an adversary’s defended airspace, will provide additional air defence challenges59. Similarly, the reported development of a version of the Kalibr for deployment within shipping containers in order to evade detection poses a significant challenge, especially as the Kalibr can deliver conventional and nuclear warheads. Arguably, the most-pressing threat posed by Russia’s burgeoning long-range strike capability is how it is perceived by Russian military planners and its role within Russian strategy. The focus on the opening phase of a conflict, strategic strikes against critical infrastructure, and the decisive use of ‘fire for effect’ points to the potential for the large-scale employment of long-range strike systems as part of the opening phase of a campaign. The threat posed by Russian precision strike systems could also be leveraged to compel states to deny access, basing and overflight rights, declare neutrality, or comply with Moscow’s demands, or be subject to kinetic strikes. Russian thinking on the use, whether for messaging or in combat, of nuclear weapons is also an area of significant concern. Responding to the challenges posed by Russia’s long-range strike capabilities, and wider belligerent posture will require a combination of active and passive measures. This includes inter alia, investment in persistent, robust and resilient intelligence, surveillance, target acquisition and reconnaissance, enhanced air and missile defence, electronic warfare, and counter-force capabilities, the hardening of potentially vulnerable facilities, and developing concepts for dispersed operations. Civil-military national and international cooperation to enhance the resilience of transportation, communications, and energy systems, and promote wider economic resilience will also be required, in light of the Russian focus on targeting those areas. Most significantly, in developing a response to the Russian threat, the robustness, resilience and credibility of the West’s defensive posture must be demonstrated in order to reinforce deterrence and ensure national and international security. The alternative is to risk war and its consequences, or acceptance of Russian revisionist ambitions. 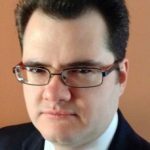 Dr James Bosbotinis is a UK-based specialist in defence and international affairs, and Co-CEO of JB Associates, a geopolitical risk advisory. He has particular expertise in the study of contemporary maritime strategy, assessing naval and air force developments, geopolitical analysis, and generating understanding of the connections between maritime strategy and national policy. Dr Bosbotinis has written widely on British defence issues, Russian strategy and military modernisation, China’s evolving strategy, and regional security in Europe, the Former Soviet Union and Asia-Pacific. Major General Nikolai Vaganov [then deputy chief of the Russian Armed Forces’ Main Armament Research and Development Department], ‘Armaments and Military Equipment Development Through 2020’, Military Parade, July/August 2009, pp. 4-6. Steven J. Zaloga, The Kremlin’s Nuclear Sword: The Rise and Fall of Russia’s Strategic Nuclear Forces, 1945-2000 (Washington and London: Smithsonian Institution Press, 2002), p. 204. Defense intelligence Agency (DIA), Russia Military Power: Building a Military to Support Great Power Aspirations (2017), p. 34. Roger N. McDermott and Tor Bukkvoll, ‘Russia In the Precision-Strike Regime– Military Theory, Procurement and Operational Impact’, Norwegian Defence Research Establishment (FFI), 1 August 2017, p. 9. DIA, Russia Military Power, p. 34. The Defence Ministry of the Russian Federation, The Priority Tasks of the Development of the Armed Forces of the Russian Federation (2003), pp. 51-61. Sergei Bogatinov, ‘New Capabilities of Missile Forces and Artillery’, Military Parade, May/June 2009, pp. 64-65. S. G. Chekinov and S. A. Bogdanov, ‘The Nature and Content of New-Generation War’, Military Thought, Vol. 22, No. 4, 2013. Ibid., p. 21. Emphasis in original. The Priority Tasks, p. 52. Emphases added. Ibid. p. 70. Emphasis in original. Katarzyna Zysk, ‘Escalation and Nuclear Weapons in Russia’s Military Strategy’, RUSI Journal, Vol. 163, No. 2, April/May 2018, pp. 4-15. Stefan Forss, ‘The Russian Operational-Tactical Iskander Missile System’, (Finnish National Defence University, Department of Strategic Studies Working Papers No.42), pp.13-15. ‘Iskander-M Adjusted to Hit Marine Targets’, Interfax: Russia and CIS Military Newswire, 3 August 2018 (accessed via EBSCO Discovery Service). There have been claims that the range of the R-500 may approach 2,000 km. Mikhail Barabanov, ‘Iskander the Great’, Moscow Defense Brief, Issue 14, 2008. Douglas Barrie, ‘Allegation, Counter-Allegation and the INF Treaty’, Survival, Vol. 59, No. 4, August-September 2017, pp. 35-43. ‘Russian Armed Forces naval group in Syria reliably protected, including by Bastion systems – Shoigu (Part 2)’. Interfax: Russia and CIS Military Newswire, 15 November 2016 (accessed via EBSCO Discovery Service). James Bosbotinis, ‘The Russian Federation Navy: An Assessment of its Strategic Setting, Doctrine and Prospects’, Special Series (Defence Academy of the United Kingdom), 10/10, September 2010. DIA, Russia Military Power, p. 70. Piotr Butowski, Russia’s Air-Launched Weapons: Russian-made Aircraft Ordnance Today (Houston: Harpia Publishing, 2017), pp. 16-17. Yefim Gordon, Russian Air Power: Current Organisation and Aircraft of all Russian Air Forces (Hinckley: Midland Publishing, 2009), p. 168. Butowski, Russia’s Air-Launched Weapons, p. 17. Piotr Butowski, Russia’s Warplanes Vol. 2: Russian-made Military Aircraft and Helicopters Today (Houston: Harpia Publishing, 2017). Butowski, Russia’s Air-Launched Weapons, p. 38. ‘Shoigu: Advanced cruise missiles launched from Su-57 in Syria in Feb’, Interfax: Russia and CIS Military Newswire, 25 May 2018 (accessed via EBSCO Discovery Service). Butowksi, Russia’s Warplanes Vol. 2, pp. 67-68. ‘Prospective long-range aircraft’s equipment to include hypersonic weapons, air-to-air missiles – sources’, Interfax: Russia and CIS Military Newswire, 14 August 2017 (accessed via EBSCO Discovery Service). Ibid., and Butowski, Russia’s Warplanes Vol. 2, pp. 69-70. McDermott and Bukkvoll, p. 8. Piotr Butowski, Russia’s Warplanes Vol. 1: Russian-made Military Aircraft and Helicopters Today (Houston: Harpia Publishing, 2015), pp. 208-209. ‘Ten MiG-31 long-range interceptors armed with Kinzhal hypersonic missile systems on duty in armed forces – Russian Defense Ministry’, Interfax: Russia and CIS Military Newswire, 7 May 2018 (accessed via EBSCO Discovery Service). Yefim Gordon and Alan Dawes, Russian Air Power: 21st Century Aircraft, Weapons and Strategy (Shrewsbury: Airlife Publishing, 2002), p. 174. DIA, Russia Military Power, p. 79. Butowski, Russia’s Air-Launched Weapons, p. 18, 22. ‘Iskander missile systems used in Syria – Shoigu’, Interfax: Russia and CIS Military Newswire, 22 December 2017 (accessed via EBSCO Discovery Service). DIA, Russia Military Power, p. 44. Jan Van Tol, ‘AirSea Battle: A Point-of-Departure Operational Concept’, (CSBA, 2010), p.19. McDermott and Bukkvoll, p. 30. Chekinov and Bogdanov, p. 22. Emphasis added. For example, see Bosbotinis, p. 16, and Zysk, pp. 8-9. ‘Improvement of hypersonic weapons to allow moving main part of strategic deterrence to non-nuclear sector – General Staff chief’, Interfax: Russia and CIS Military Newswire, 26 March 2018 (accessed via EBSCO Discovery Service). For discussion of the fifth-generation air threat and its implications, see Flight Lieutenant Kevin Terrett, ‘Stalemate: How the Future of Air Power Might Look in the Shadow of the Emerging Fifth-Generation Air Threat’, Air Power Review, Vol.15, No.2 (Summer 2012), pp. 17-32.